Last year saw Robert Logan re-emerge from a release haitus with the dazzling new ‘Extasis EP’ and an album ‘Flesh’ “…a musical object so radical and daring it seems not to belong to his time.” [Trax]. 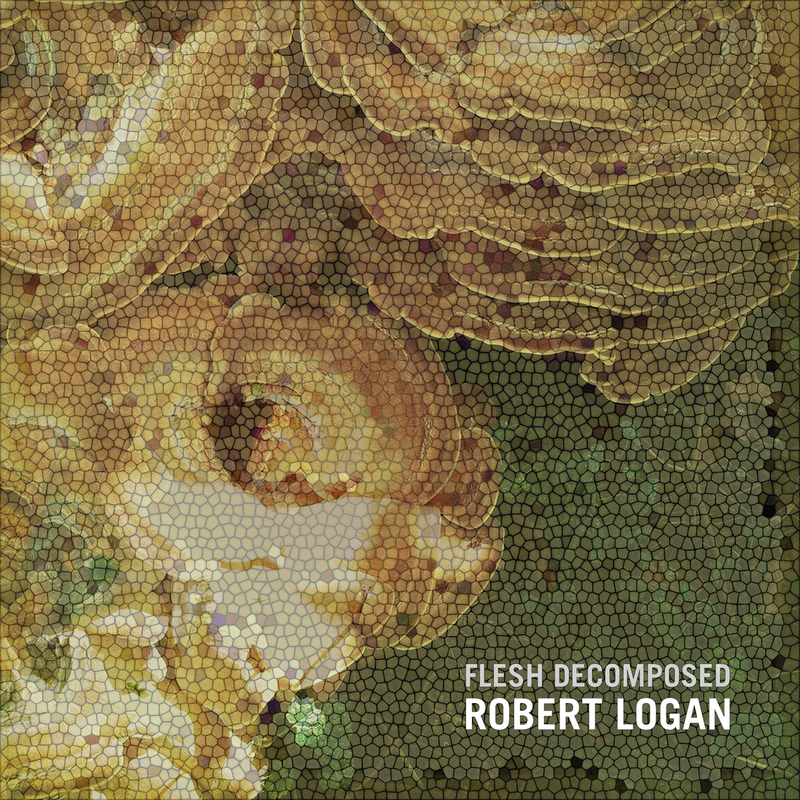 ‘Flesh Decomposed’ is his 4th album and coincides with the release of two albums which are the fruits of his long term collaboration with ambient god-father Steve Roach [‘Biosonic’ and ‘Second Nature’]. Taking the final subdued moments of 'Flesh' as a starting point, 'Flesh Decomposed' comprises of new ambient explorations of the many moods and textures only glimpsed at in the previous recording. Created during the sessions for 'Flesh' until the present day and constructed from custom digital and analog processes, the recording attempts a fresh and at times confrontational approach to ambient music. Primitive source materials and stark acoustic frequencies are 'rotted' into new and evocative forms, and layered crystalline structures aged to sound like barely remembered music. Spontaneity and chance are allowed a larger breathing space in this collection, with trumpeter Andy Knight given a wider timeframe to roam [‘Four Wheels’] and the return of Logan's father on violin on the expansive ‘Tri’, but the corrosive weathering of the sonics within the eight soundscapes is equally managed to an exceptional degree of tonal detail. 'Flesh Decomposed' is visual and hallucinogenic, exploring a range of unusual atmospheres and emotions - from the strange sense of memory invoked in a long forgotten object in the dusty 'Older Jug' - to the violent pulse of fleshy life contained in the squirming frequencies of 'Larval Therapy' - and most of all throughout hints towards a kind of beauty, most clearly unveiled in the final track 'Wind' - which seeks the ghost that has long since left the shell.